Eating before a holiday party can help control cravings. 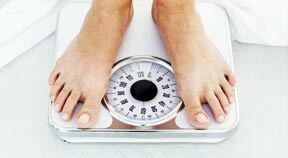 Many people typically eat more during the holidays, one of the reasons why holiday weight gain is common. Include family and friends into your activity plan. Many people have good intentions of eating healthy and staying in shape over the holiday season, but end up overindulging in once-a-year delicacies and skipping regular workout sessions. Staying healthy during this time of year doesn’t have to mean giving up your favorite holiday treats, but instead learning how to control yourself around them. April Kneifel, a registered dietitian at Curves International, Inc., says it isn’t always what you eat, but how much of it that can keep you from staying healthy over the holidays. Kneifel says to eat slowly and enjoy the company of others while dining, which will give you something else to focus on besides food. Kneifel also suggests eating healthy snacks such as granola bars, almonds, and fruit while traveling or doing holiday shopping. “Packing snacks is a great way to minimize eating out and over-eating later,” Kneifel says. In order to keep yourself from overindulging in unhealthy foods at home, Rose Giordano, a Nutrition instructor for South University Online Programs, recommends not keeping foods in the house that you know you can’t avoid. Giordano says you can also modify many of your favorite recipes to cut calories. From office parties to family gatherings, the holiday season is filled with social events. Although it’s best to try and stick to a healthy diet as much as you can, both Kneifel and Giordano agree that it’s perfectly acceptable to indulge in your favorites, as long as you do so in moderation. Giordano says to avoid anything greasy or fried, as these are likely the unhealthiest options you could choose. If you’re assigned to bring a dish to the party, Giordano recommends choosing something that will keep you eating healthy. Kneifel says that people typically eat more during the holiday season, which is one reason why weight gain during this time of year is common. Kneifel says that people also tend to exercise less during the holiday season. Katie Mitchell, director of exercise and research at Curves International, Inc., says in addition to having busy schedules over the holidays that keep people from working out, many also don’t like to go outside and brave the cold. Mitchell says that although cold weather can deter people from exercising, the main reason for a decline in physical activity is time. Although it can be difficult to find the time to fit exercise into a busy day, Mitchell says it is necessary to do so. Kneifel’s family-friendly fitness tips include activities such as taking a walk together, building a snowman, holding a kickball or softball tournament, or walking your pet as great ways to stay in shape and have fun with your relatives at the same time. Mitchell’s fitness tips include activities that families can do together indoors. Mitchell points out that many chores can also double as a workout. She says that activities such as bringing in wood for the fireplace and cleaning the house can help you to burn a few calories.